This FAQ is part of the TPAC 2018 Plenary Day wiki. 2 What is the confidentiality of the plenary day? 3 Why are we using this format for the Plenary day? 4 How does the agenda get built? 5 Can I be guaranteed a room for my breakout session? 6 Instead of a breakout session, can we discuss my topic in plenary (that is: in a big room with everyone)? 7 What if there are more breakout session proposals than there are rooms? 8 What if I think of a great idea for a session in the middle of the day? 9 What are the breakout rooms sizes? 10 What are the breakout rooms seating arrangement and equipment? 11 Can a session span more than one time slot? 12 What if no one comes to my session? 13 What is good practice for organizing a session? 14 How do we share our breakout discussion with others? 15 Can press attend TPAC? 16 How long is a session? A meeting of the W3C Advisory Committee. What is the confidentiality of the plenary day? The plenary day content is public. Plenary day participation is open to eligible W3C participants and invited guests. Why are we using this format for the Plenary day? We have used this format for several years and most participants appreciate it. The format can generate more interactive discussion, and make it easier for all to participate. Also, since the W3C community has such wide-ranging interests, the format enables each attendee to spend more time on his/her topics of interest. How does the agenda get built? Right after the Plenary session there is an agenda building session. During that hour, facilitators will help as meeting attendees write down breakout session topics on pieces of sticky notes and post those notes on a grid of 50 or so sessions. There is often negotiation among all the participants, for instance because two people want to propose similar sessions and so combine them, or they don't want two sessions to take place at the same time. At the end of an hour there is a solid agenda and people begin their breakout sessions. As a repeated instance where 50%+ of the participants are returning people, TPAC breakouts are unusual for an annual BarCamp. As people have become experienced with the process, they lose any hesitation, creating a massive onslaught with post-it notes to the board, and resulting in a Mad Scramble which unfortunately disadvantages anyone new to W3C, or new to BarCamp methods. (co-)organizers of a session in either of the *past two years* propose their sessions(s) 15-20 minutes AFTER the start. Can I be guaranteed a room for my breakout session? We prefer to allow those at the meeting to work out the schedule. In the past we have always had enough rooms. Instead of a breakout session, can we discuss my topic in plenary (that is: in a big room with everyone)? TPAC participants have indicated a clear preference for the unconference/breakout format. What if there are more breakout session proposals than there are rooms? If there are more ideas than rooms, we encourage groups to be creative about where they meet. Could you sit outside? Is your group small enough to cluster in a corner of the lobby? What if I think of a great idea for a session in the middle of the day? Propose your breakout idea anyway! The grid can evolve during the day, for example as breakout conversations spawn new ideas. What are the breakout rooms sizes? What are the breakout rooms seating arrangement and equipment? Seating arrangement: U-shape style with some power outlets, chairs at the periphery of the rooms. Can a session span more than one time slot? In theory, yes. We will determine room allocation in the agenda-building session. What if no one comes to my session? First, you can take steps to avoid this situation by putting your idea in the session idea wiki early, and beginning to socialize it with participants well in advance of the meeting. But if it does happen that people do not come to your session, simply attend another one that interests you. People will appreciate that you contributed to the agenda. The more ideas people contribute, the more possibilities we have to consider. What is good practice for organizing a session? What is the nature of your session (presentation or discussion or other)? What minimal background must people know in order to follow the discussion? Use something like http://www.w3.org/wiki/TPAC/2018/session-foo where "foo" is a name you choose for your session. Please link from the grid to your breakout session page. You can take notes directly into a new wiki page for your session. Or you can choose a public IRC channel, "/invite RRSAgent", take notes on IRC; see RRSAgent instructions for more. Allow for travel time to the next session. Please link from grid to your summary or notes. Main points of discussion, consensus, or disagreement? What are the next steps (possibly none)? Summarize from time to time, check for understanding, clarify when necessary. How do we share our breakout discussion with others? For all sessions, we would like an electronic summary or minutes that we will link from the wiki. The W3C Communications Team plans to review all the session summaries and possibly to build a comprehensive summary. There is a scheduled opportunity Wednesday to share your discussion with other meeting attendees. We will divide up that session according to the number of people who wish to present. We expect summaries to last no more than a few minutes. If time permits, there may be an opportunity to share during the Thursday Advisory Committee meeting, where the topic is particularly relevant to the AC's agenda. People may also wish to disseminate their summaries via email, or in a new Community Group, or through other means. Find W3C Comm team members if you need assistance. TPAC is open to group participants, and thus is not open to the general public including press. 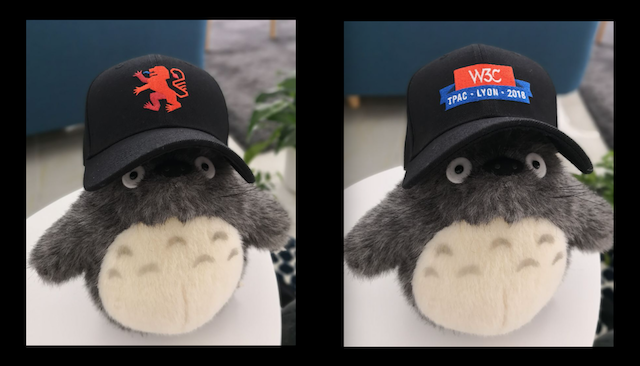 In general, if you have questions about press at W3C events, please contact the W3C Communications team (w3t-pr@w3.org). Usually, up to an hour. A session may span more than one time slot. We will determine room allocation in the agenda-building session. ... would you like to know? Put your question here and we'll answer. This page was last modified on 15 October 2018, at 20:48.